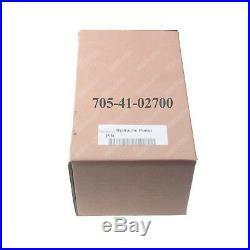 Hydraulic Pump For Komatsu PC27MR-3 PC27MR-2-B PC27MR-3 PC27MR-2 PC27MR-2-A. PC27MR-3 S/N 20509-UP North America Spec. PC30MR-3 S/N 32725-UP EU Spec. PC30MR-2 S/N 20001-UP Cab Spec. PC30MR-2 S/N 20001-UP Canopy Spec. PC27MR-2 S/N 15001-UP Cab Spec. PC27MR-2 S/N 15001-UP Canopy Spec. PC30MR-3(JPN)-FOR CANOPY S/N 30001-UP. PC30MR-3(JPN)-FOR CAB S/N 30001-UP. PC30MR-3 S/N F30001 AND UP. If you don't receive package over 30 business workdays , please notify us. Please make sure it is correct. We believe our items are so outstanding. All products are quality checked. We will be happy to resolve any issues you may have in a cordial and friendly manner. We appreciate your Postive Feedback, and will do the same in return. 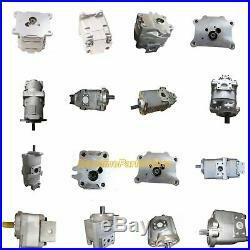 The item "Hydraulic Pump For Komatsu PC27MR-3 PC27MR-2-B PC27MR-3 PC27MR-2 PC27MR-2-A" is in sale since Tuesday, March 13, 2018. This item is in the category "Business & Industrial\Hydraulics, Pneumatics, Pumps & Plumbing\Pumps & Pump Accessories\Hydraulic Pumps". The seller is "china-obd" and is located in Hangzhou,Zhejiang. This item can be shipped worldwide.